Ordering System for Pizza shops! 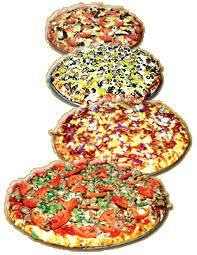 Our Pizza Online Ordering System can help your pizza delivery business grow! 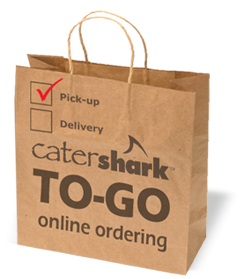 The CaterShark online ordering module can be quickly configured by pizza shops to allow customers to order food from your pizza menu online. You can then receive notifications as orders come in! Great for any size of shop, small and large alike! Increase profits while tracking your orders and showing weekly/monthly sales volume. Compete better in today's competitive marketplace by giving your customers a way to order pizza online! View our Promotional Launch Pricing for 1 month ONLY for the online ordering system! Get in now and save! Integrates with an existing restaurant web site with a simple copy/paste of our auto-generated script or can be used stand-alone. Quick and painless setup of the online ordering program can have your customers placing online orders from your food operation today! Customers can browse your menu and add food items to their shopping cart. Set Suggestive Ordering menu items to help up-sell food items and maximize profit! For example, if your customer orders pizza, set breadsticks as a suggested accompaniment! Quick and easy checkout process gets you, the business owner, paid instantly. Accept credit cards or PayPal. Fast, easy setup! Simply create a free business PayPal account and as your customers pay with Credit Card and/or PayPal, your money gets instantly deposited into your PayPal account ready for withdrawal at any time. Customer receives an auto-responder email with your invoice attached and the customer is automatically added as a new Contact to your CaterShark system. Occasionaly send CaterShark Email Newsletters out to your contacts and users reminding them of your monthly specials or even tell them about special promotions such as Pizza and Wing Night or BOGO PIZZA SPECIALS! You receive Automated Voice Notifications, SMS Text notifications and/or email notifications as the orders come in so that you can have the food prepared on time. Most of our customers simply add an extra cell phone line to their existing wireless plan or even to their personal plan for roughly $10 extra a month and place this by their register or POS system. This line is then dedicated to receiving one of the various food order alerts as they come in. Pay As You Go TracPhone's and inexpensive flip phones are also popular and this helps ensure your orders are never overlooked when they arrive. Just add this phone number under Online Ordering Setup to begin receiving alerts on it! NEVER MISS AN ORDER!!! Even sync CaterShark to a Google Calendar to keep your SmartPhone (iphone, android, blackberry) always up to date with your food orders as they come in! Login to your CaterShark administrative dashboard anytime to view the full details of the food orders, run reports, track your contacts who previously ordered from you, and promote specials that you are running by sending Newsletter emails out to your clients. View the How it Works page. View the Online Ordering Module Demo Site! View the Pricing Page for the Restaurant Ordering System and Sign Up!